May Holiday Passages, Comprehension, and Crossword Puzzles! 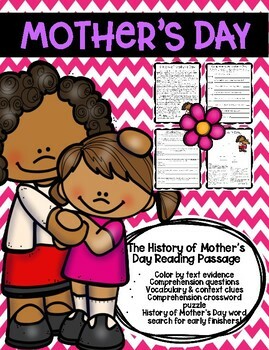 Celebrate Mother's Day with your students using this engaging reading packet! 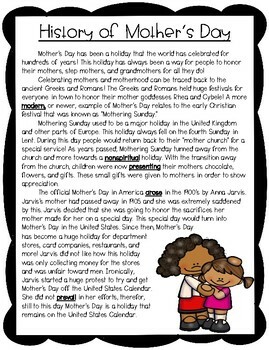 By the end of this packet, your students will be able to understand the history of Mother's Day in an exciting way! 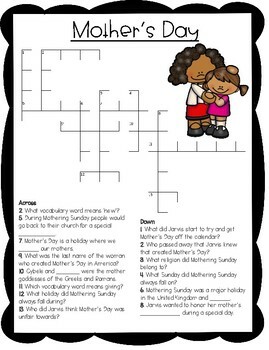 --a Mother's Day word search for early finishers! All you need to do is PRINT & GO!! No prep necessary at all!!! 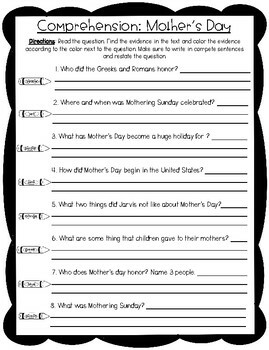 The passage is well suited for close reads, small group work, ELA centers, homework, morning work, or independent work.